Hi Everyone, Conix here to address a common concern. "Can the game be Portrait?" "I think the game will be better in Portrait!" "Can we get a Portrait version?" You have asked (repeatedly), and we have listened. Fallen Sword Mobile Is changing to a Portrait Perspective! Yes, that's right! We are hard at work converting the existing version of the app from landscape to portrait as well as giving everything a much needed makeover! Graynight has been working tirelessly for the last couple of months recreating and redesigning the app to work in a portrait perspective. Implementation of these designs has now begun and we are aiming for the game to be fully portrait by the next update! We hope you enjoy this small tease, expect more screens and images in the coming weeks, and as always, we welcome any and all feedback! I hope everyone is enjoying the double XP event that is happening right now! But that's not the only event today. This year we have a bonus Christmas present for you all! We have just updated the Fallen Sword Mobile App to v0.6.1! This update should hit both the Android and IOS stores in the coming hours. This update addresses a number of bugs and issues that are present in the previous version of the app and addresses them just in time for Christmas. A number of these fixes can be found in the list below. We hope you all enjoy using the mobile version of Fallen Sword over the Christmas break, and as always, we look forward to all your thoughts and feedback! Merry Christmas Everyone and Happy Hunting! #994692 The Fallen Sword Mobile Beta (0.6) Is Now Live! 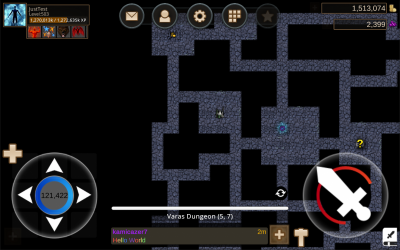 Hi All, we have just updated the Fallen Sword Mobile Application to v0.6! This update sees the addition of Guilds! You can now create, join, manage and fight with guilds on the go! This version also adds Upgrades to to the game as well as a number of bug fixes and improvements, some of which are listed below. We hope you all enjoy The Fallen Sword Mobile Beta v0.6 and we look forwards to hearing your thoughts on the newest version! Tournament Sorting Added To The Arena. 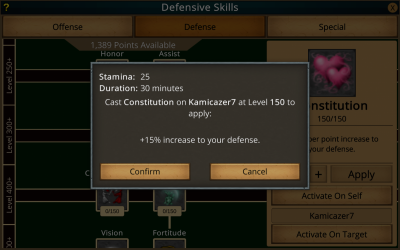 Stamina Now Displayed Before Quickbuff Cast. Invisible Text On Android Input. Local Profile Now Displayed On PvP Ladder. Local Profile Now Displayed On Quickfind Player. #994425 The Fallen Sword Mobile Beta (0.5) Is Now Live! I know many of you have been wondering when the next update for the Fallen Sword Mobile App will go live. Well I am happy to announce that the long wait is over. V0.5 is now live and available to download! We have been working hard these past few months and are more than happy with what we have just released. 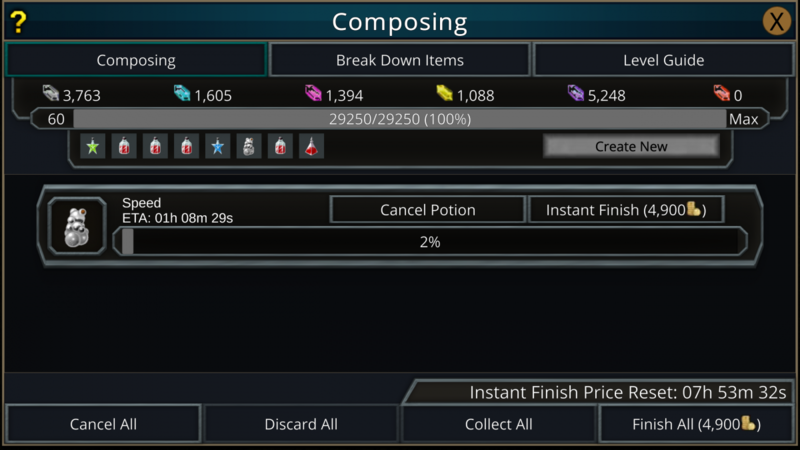 This update will see the addition of the much requested composing panel which will allow you to make potions on the go (and get a notification when this process is complete!). On top of this we have added PVP to the mobile application so all you blood thirsty players out there can enjoy the sense of victory over one another. In this update we have enhanced the error report system so that we will automatically receive caught errors if and when they occur. This will allow us to look into any issue that is reported to us with more efficiency. Not all issues will be caught, so please continue to report any issues that you feel have avoided detection from the in game error catcher. These are just a few additions to V0.5. A full list of what to expect in this update can be found in the list below and the newest versions of the Fallen Sword Mobile Application can be downloaded using the following links. We hope you all enjoy the next stage of the fallen sword mobile beta and we look forwards to hearing your feedback on the latest version. 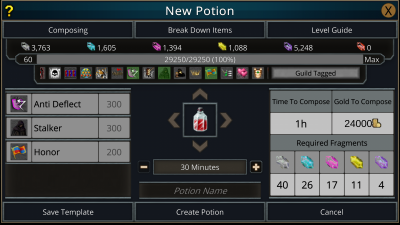 Buffs now displayed after potion drink. Profile Images now load correctly. Quest Icons now remove from map after stage completion. Quickbuffs now cast selected buffs on players. Setting up Arena Combat Moves occasionally glitch. Chat Guild Buttons are disabled in this build. Happy Friday Everyone! I hope you are all excited for the weekend! I am happy to announce that one of the most asked for features of Fallen Sword is now complete! Yes, Composing is done and will be included in the upcoming 0.5 update! I am also happy to be able to show off some screens from this new and improved composing! There are a couple secrets in these screens, but I will let you find them yourselves! 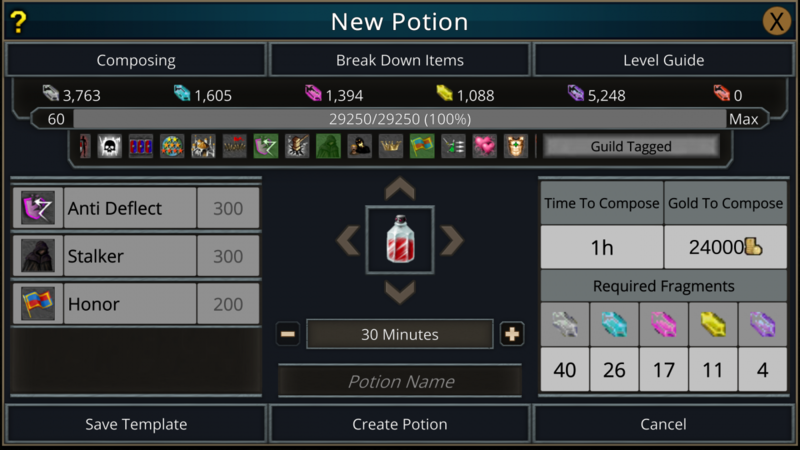 One thing I will say thought is that all the potion stats can now be seen in real time! No more refreshing to see if your potion is complete or to reduce that instant finish cost. All values will tick down before your eyes! That is all I will say on this! I will let these screenshots do the rest of the talking! I hope you enjoy these screens and I look forwards to hearing any and all feedback on them! Happy hunting everyone and enjoy your weekend! Sorry for the confusion about the fragments. When we fixed this issue the other day we failed to notice that the display order had been swapped in the process. The correct frags are still used to compose, just displayed wrong in the composing preview. We will look into this issue and hopefully have a fix very soon. 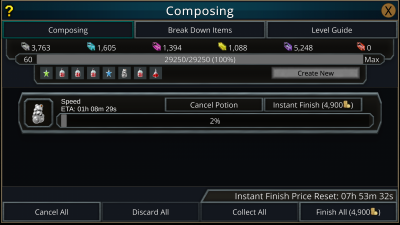 We have just fixed an issue where composing was using Super-Elite fragments instead of Crystalline and vice versa to create potions. Fragment images in the potion creation page (mentioned earlier) have also been fixed. Please continue to let us know of any issues you may find and Happy Hunting! I know you have all been waiting patiently for the next Fallen Sword app update! Well, I am happy to announce that the next version of the Fallen Sword App Beta is now live! We have been hard at work these past few months and as a result we have added a large number of new features which we are excited for you to try out. A full list of what is in this update can be found in the list below. We hope you all enjoy the next version of the Fallen Sword mobile beta and we look forward to hearing your feedback. Happy Hunting everyone! Not signed up for the fallen sword mobile beta yet? Use the following links to join now! The server will be down for around an hour tomorrow (2PM Server Time) while the game updates. So yeah, I would recommend ceasing any important activity during this time. I hope you are all having a good day? If not then I have some news that might improve your day! We have just released the next version of the Fallen Sword Mobile Beta for Android with an iPhone/iPad version coming in the next few days! You can download the Android version and enjoy V0.3.0 right now using the link below! If you are an iPhone/iPad user then click here to submit your details and we will send you an email invitation as soon as the iPhone/iPad version is available. - Added Quick Repair button. - Added In-game Error report. - Fixed several layout issues. 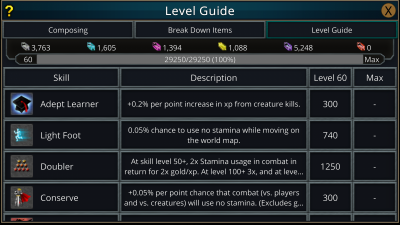 - Fixed search bar on Questbook. 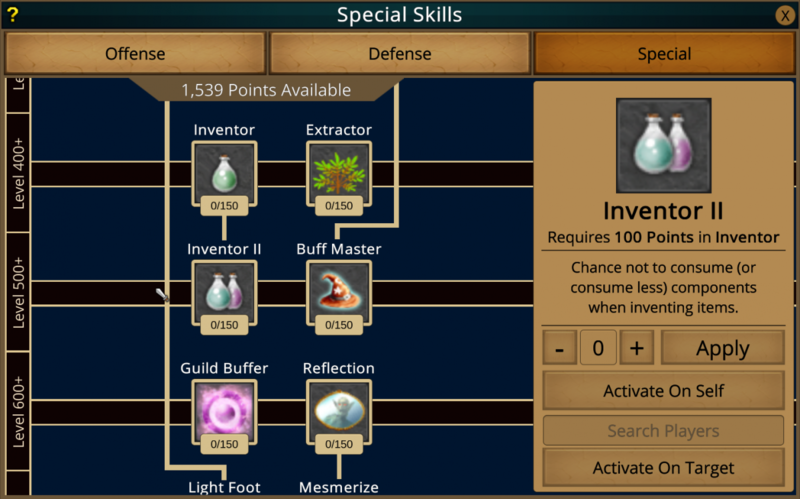 - Fixed issue with leveling up attributes. - Fixed issue with Profile not displaying. - Fixed game crashes when being in certain realms. - Fixed issue using portals to certain realms from a Master realm. That's all from me for now, I hope you all enjoy V0.3.0 of the Fallen Sword Mobile Beta and we all look forwards to hearing your thoughts on the newest update! That forth image looks askew. With all the Buffs that one can get in the game. I can't imagine what the screen would look like. If someone had almost all the available Buffs. 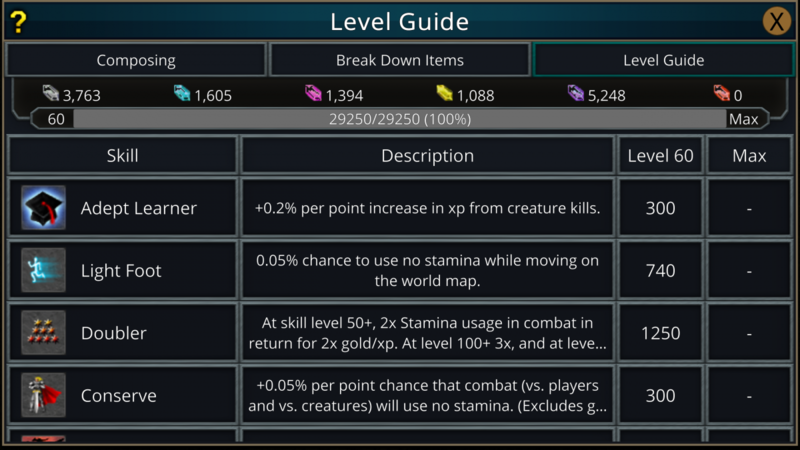 All buffs are stored in the box under the player information at the top left of the screen. 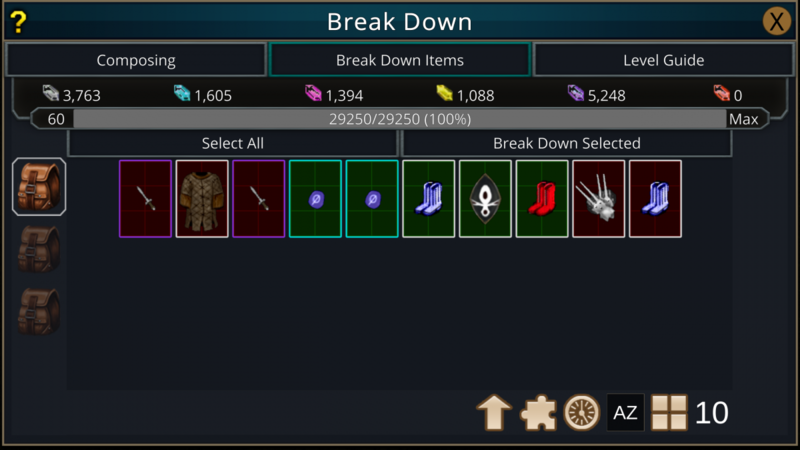 You can scroll through all the buffs in this box by sliding the panel. Its not overly obvious in this image, but if you look really closely then you can see the edge of a 5th buff at the end of the list. So no need to worry about buffs taking up all the screen space. On that note, will there be the option to choose multiple buffs for a single player, set up buff packs and buff multiple players? I'm really happy you like the new skill tree. As for Multi-buffs, there will be an option for this in a later update. 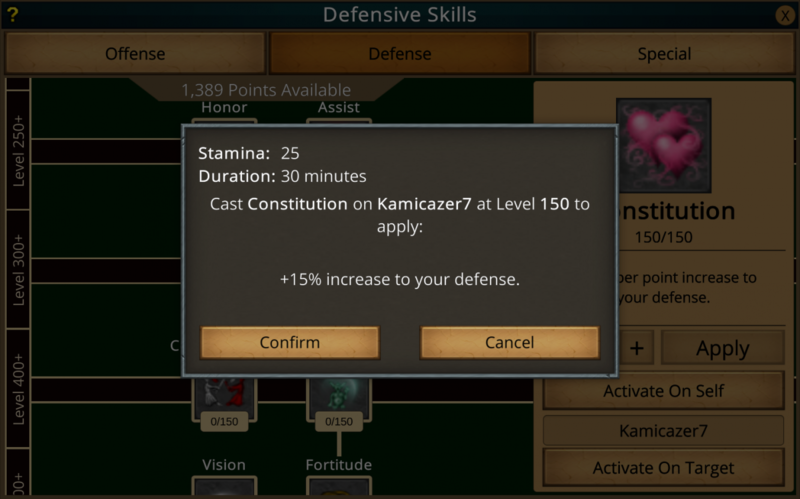 We really wanted to give the players the ability to cast buffs on mobile. Making a system to handle multiple buffs on multiple players will take some time, so we plan is to release single buffs for now so the ability to cast them is there. I hope you understand, and I hope you enjoy using the multi-buffs when we get it working in a later update. I hope you are all enjoying V0.2 of the Fallen Sword Mobile Beta. I would like to take this opportunity to thank you all for your feedback on the latest version. We are all hard at work to use this feedback to make V0.3 an even better experience for everyone! As well as bug fixes and changes based on feedback we have also been working on new features for the next update. 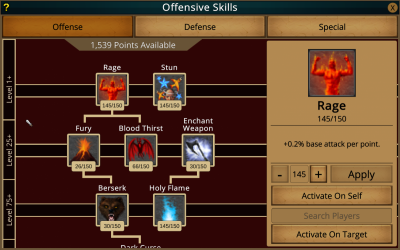 For the last 2 weeks I have been working with skills and buffs to add this highly requested feature to the mobile version. I am happy to announce that this is now complete and will be available in the V0.3 update coming soon! As you can see from the above images, the mobile version is similar to that of the browser. However, if you look a little closer you may notice that there are a few small improvements, but I'll let you discover them for yourself. One thing I will point out though is the buff bar in the top left corner of the fourth image. This bar displays all buffs that are currently active on the player and will update at real time, meaning you no longer need to refresh to find out if a buff is still active. If the image is in the bar then the buff is active. That's all I'm going to say about this for now. I hope these screens have got you all excited for V0.3! I am looking forward to the next update so that you can all try this out for yourselves! But for now, enjoy V0.2 and Happy Hunting!